Blackheads are a feature of the skin condition acne. Pimples, spots, zits – acne lesions go by many names, yet blackheads have a clear description. Change to the normal function of hair follicles is due to the first point, the overproduction of sebum with a higher turnover of skin cells. That is the cause of blackheads. We offer a few remedies that you can try at home to get rid of blackheads. 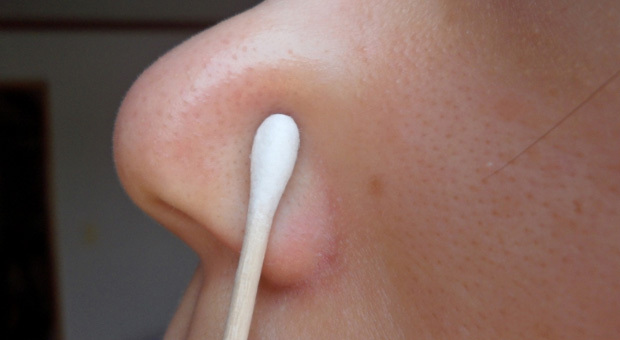 >> Two teaspoons of baking soda mixed with water is a good tip to get rid of blackheads. >> Mix cinnamon powder with lemon juice and turmeric. Apply this paste and rinse after ten minutes for good results. >> Combine oatmeal and yogurt to make your skin soft and at the same time get rid of blackheads. >> Green tea is a good option. l Use honey to get rid of both oily skin and blackheads. >> The nutrients present in lime juice can help get rid of open comedones. >> Apply an egg-white mask on your face and see how your skin glows after you rinse. >> Tomato mask will help you deal with blackheads too. None of the blackhead cleansing and exfoliating methods offer immediate results, but will produce long-term results. Continue treating your skin with your method of choice daily for several months in order to completely remove your skin of blackheads.